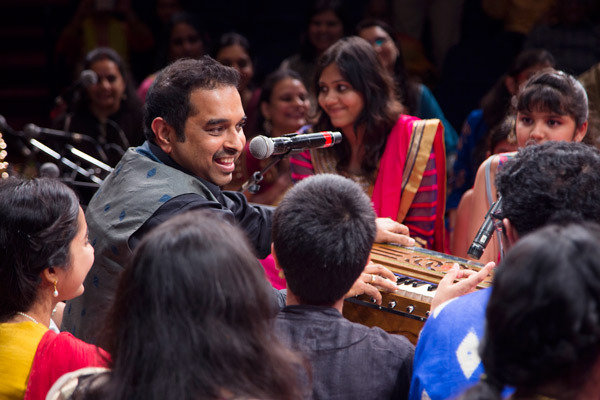 MUMBAI: Shankar Mahadevan Academy (SMA), a world renowned music school founded by singer and composer Shankar Mahadevan, on World Music Day announced a partnership-with Maharashtra Mandal Singapore (MMS), to offer Indian music programs to students in Singapore. This association will look at reaching out to Indians based out of Singapore and further enhance their music learning experience. In a short span of eight years, SMA has built a presence with students from 76 countries with nearly 20000 students across online, schools and corporates and affiliate centres. The Academy operates its online classes 24/7 and has conducted over 95000 virtual classes till date. MMS is a platform connecting the Maharashtrian diaspora in Singapore where denizens of the most dynamic state in India meet, socialize, exchange notes and celebrate occasions – including festivals - all under one roof. A home away from home, MMS endeavours to connect Maharashtrians with one another while sharing the spirit of Maharashtra. MUMBAI: They say that music is the healing force of the universe. MUMBAI: The ace rapper Badshah, who is currently in news for his new show Dil Hai Hindustani 2 as a Judge and his great line up of projects this year, expresses his view on World Music Day. One is known for his raps, Badshah is that crazy beat that makes you put on your dancing shoes. MUMBAI: Remember the fizzy-haired Farhan Akhtar from the 2008 film 'Rock On' who despite of his high-profile job, could not do without his love for music or Dilsher (Vicky Kaushal) of 'Zubaan' movie. He longed for that perfect platform to shed all his fear and inhibitions. MUMBAI: “Where words fail music speaks.” The quote does full justice to what music means to most of us. On this momentous occasion of World Music Day today, #fame- a video social platform is hosting India’s first live music marathon. Mumbai: Gear-up for a multi-city musical gala as Artist Aloud, the one-stop destination for talent and independent content is back with the much awaited 'World Music Day'. This musical night will take music buffs on an experience like never before.